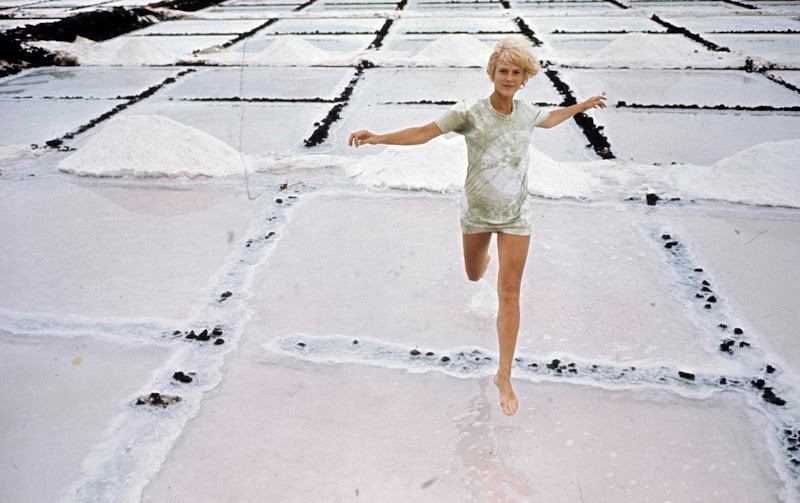 Photo of actress Missy Farmer while shooting La Route De Salina by Philippe Le Tellier, 1969. It's undeniable that tie dye is back, and not just in the look I'm at Coachella! way or the traditional Japanese indigo way—lately I've been seeing the classic spiral tie-dye shirts that we all remember from summer camp, especially in monotones. And why not? 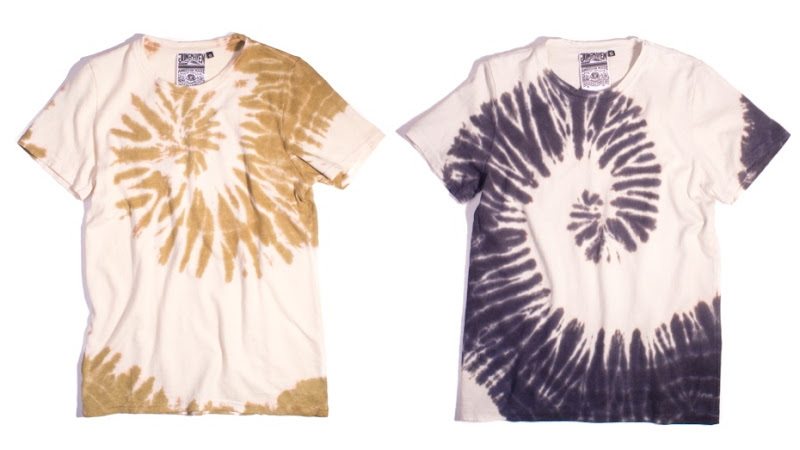 Tie dye is still totally fun. I love these ultra soft unisex Jungmaven shirts ($67) made from a blend of hemp and cotton, they're American-made and manufactured sustainably. @Lauren Haha yeah right! But it does seem like the perfect tee for you!